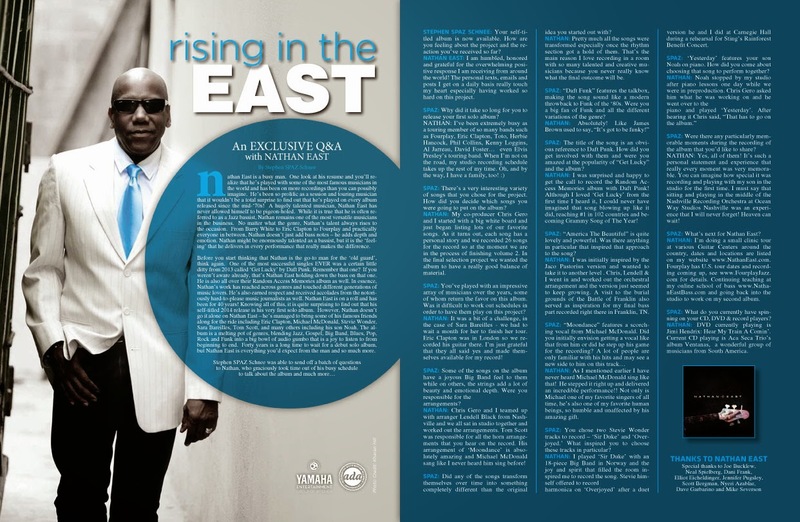 Discussions Magazine Music Blog: An EXCLUSIVE interview with NATHAN EAST! 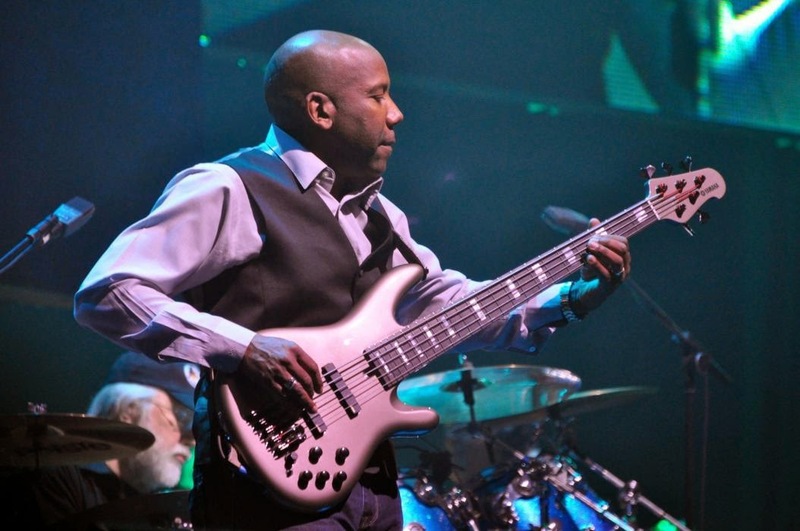 An EXCLUSIVE interview with NATHAN EAST! Nathan East is a busy man. One look at his resume and you’ll realize that he has played with some of the most famous musicians in the world and has been on more recordings than you can possibly imagine. He’s been so prolific as a session and touring musician that it would not be a total surprise to find out that he’s played on every album released since the mid-‘70s! A hugely talented musician, Nathan East has never allowed himself to be pigeon-holed. While it is true that he is often referred to as a Jazz bassist, Nathan remains one of the most versatile musicians in the business. No matter what the genre, Nathan’s talent always rises to the occasion. From Barry White to Eric Clapton to Fourplay, and practically everyone in between, Nathan doesn’t just add bass notes – he adds depth and emotion. Nathan might be enormously talented as a bassist, but it is the ‘feeling’ that he delivers in every performance that really makes the difference. Before you start thinking that Nathan is the go-to man for the ‘old guard,’ think again. One of the most successful singles EVER was a certain little ditty from 2013 called ‘Get Lucky’ by Daft Punk. Remember that one? If you weren’t aware already, that’s Nathan East holding down the bass on that one. He is also all over their Random Access Memories album as well. In essence, Nathan’s work has reached across genres and touched different generations of music lovers. He has also earned respect and received accolades from the notoriously hard-to-please music journalists! Nathan East is on a roll and has been for 40 years! Knowing all of this, it is quite surprising to find out that his self-titled 2014 release is his very first solo album. 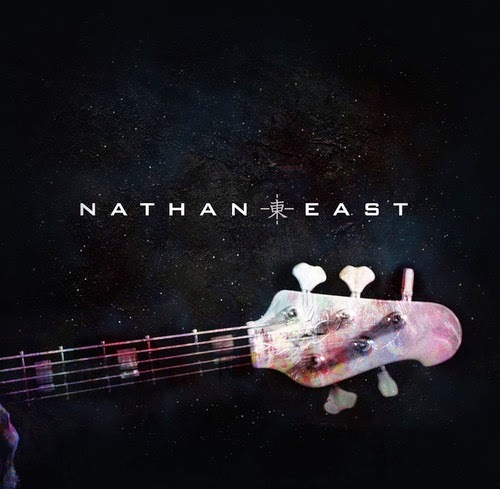 However, Nathan doesn’t go it alone on Nathan East – he’s managed to bring some of his famous friends along for the ride including Eric Clapton, Michael McDonald, Stevie Wonder, Sara Bareilles, Tom Scott, and many others including his son Noah. The album is a melting pot of genres, blending Jazz, Gospel, Big Band, Blues, Pop, Rock and Funk into a big bowl of audio gumbo that is a joy to listen to from beginning to end. Forty years is a long time to wait for a debut solo album, but Nathan East is everything you’d expect from the man and so much more. STEPHEN SPAZ SCHNEE: Your self-titled album is now available. How are you feeling about the project and the reaction you’ve received so far? NATHAN EAST: I am humbled, honored and grateful for the overwhelming positive response I am receiving from around the world! The personal texts, emails and posts I get on a daily basis really touch my heart especially having worked so hard on this project. SPAZ: Why did it take so long for you to release your first solo album? SPAZ: There’s a very interesting variety of songs that you chose for the project. How did you decide which songs you were going to put on the album? NATHAN: My co-producer Chris Gero and I started with a big white board and just began listing lots of our favorite songs. As it turns out, each song has a personal story and we recorded 26 songs for the record so at the moment we are in the process of finishing volume 2. In the final selection project we wanted the album to have a really good balance of material. SPAZ: You’ve played with an impressive array of musicians over the years, some of whom return the favor on this album. Was it difficult to work out schedules in order to have them play on this project? NATHAN: It was a bit of a challenge, in the case of Sara Bareilles - we had to wait a month for her to finish her tour. Eric Clapton was in London so we recorded his guitar there. I’m just grateful that they all said yes and made themselves available for my record! NATHAN: Chris Gero and I teamed up with arranger Lendell Black from Nashville and we all sat in studio together and worked out the arrangements. Tom Scott was responsible for all the horn arrangements that you hear on the record. His arrangement of ‘Moondance’ is absolutely amazing and Michael McDonald sang like I never heard him sing before! different than the original idea you started out with? NATHAN: Pretty much all the songs were transformed especially once the rhythm section got a hold of them. That’s the main reason I love recording in a room with so many talented and creative musicians because you never really know what the final outcome will be. SPAZ: “Daft Funk” features the talkbox, making the song sound like a modern throwback to Funk of the ‘80s. Were you a big fan of Funk and all the different variations of the genre? SPAZ: The title of the song is an obvious reference to Daft Punk. How did you get involved with them and were you amazed at the popularity of “Get Lucky” and the album? countries and becoming Grammy Song of The Year! particular that inspired that approach to the song? another level . Chris, Lendell & I went in and worked out the orchestral arrangement and the version just seemed to keep growing. A visit to the burial grounds of the Battle of Franklin also served as inspiration for my final bass part recorded right there in Franklin, TN. NATHAN: As I mentioned earlier I have never heard Michael McDonald sing like that! He stepped it right up and delivered an incredible performance!! Not only is Michael one of my favorite singers of all time, he’s also one of my favorite human beings, so humble and unaffected by his amazing gift. SPAZ: You chose two Stevie Wonder tracks to record – ‘Sir Duke’ and ‘Overjoyed.’ What inspired you to choose these tracks in particular? harmonica on ‘Overjoyed’ after a duet version he and I did at Carnegie Hall during a rehearsal for Sting’s Rainforest Benefit Concert. SPAZ: ‘Yesterday’ features your son Noah on piano. How did you come about choosing that song to perform together? SPAZ: Were there any particularly memorable moments during the recording of the album that you’d like to share? playing with my son in the studio for the first time. I must say that sitting and playing in the middle of the Nashville Recording Orchestra at Ocean Way Studios Nashville was an experience that I will never forget! Heaven can wait! SPAZ: What’s next for Nathan East? 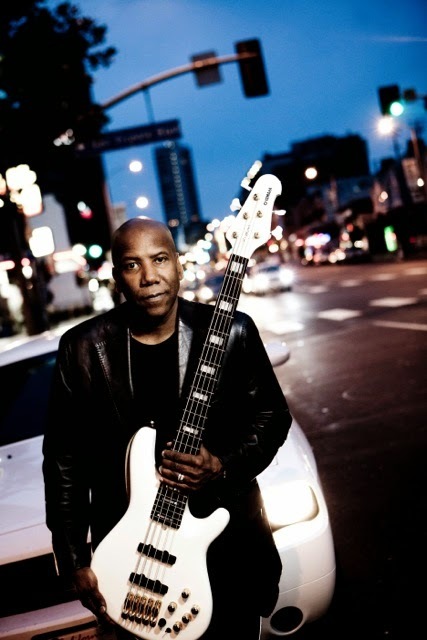 NATHAN: I’m doing a small clinic tour at various Guitar Centers around the country, dates and locations are listed on my website www.NathanEast.com. Fourplay has U.S.
tour dates and recording coming up, see www.FourplayJazz.com for details. Continuing teaching at my online school of bass www.NathanEastBass.com and going back into the studio to work on my second album. NATHAN: DVD currently playing is Jimi Hendrix: Hear My Train A Comin’. Current CD playing is Aca Seca Trio’s album Ventanas, a wonderful group of musicians from South America. Special thanks to Joe Bucklew, Neal Spielberg, Dani Frank, Elliot Eicheldinger, Jennifer Pugsley, Scott Bergman, Nyeri Azablar, Dave Garbarino and Mike Severson. to diminish the pain. Morphine had to be used to knock me out! Once I passed the stone though I was ready to play! Fourplay is scheduled to play the Capital Jazz Cruise October 19 - 26, 2014. KEVIN ‘FLACO’ JONES (bass player in PU$$YCOW): Largest crowd you’ve performed for? Washington, D.C. for the Inauguration Concert of President Barack Obama in January 2009. Needless to say it was an experience of a lifetime! FLACO: Favorite venues to play? NATHAN: I absolutely love playing in PACs such as the Cerritos Center for the Performing Arts and of course Carnegie Hall. I am also very partial to the Royal Albert Hall in London. Those types of venues are designed for music and the acoustics are ideal as opposed to venues that are designed for sports events like hockey and basketball. FLACO: Any ‘unforgettable’ disasters with any gear/effects during a gig? NATHAN: I’ve been lucky and not had many disasters but once I was backing up on stage and tripped over a cable and went down and smashed my bass… that was the end of that instrument. The most disastrous thing that’s ever happened to me though was completely tearing my Achilles tendon onstage while dancing and performing with Toto in Switzerland. Video of it happening is on YouTube ... ouch! FLACO: What inspired the switch to TC Electronics Amps? NATHAN: I love the punchy tight sound that gives me ... very true and representative of my bass. That said, Aguilar, my former amplifier is an amazing amp as well. FLACO: Are you still using Yamaha basses and do you use 4, 5 or 6 string basses lately? NATHAN: Yes, exclusively Yamaha basses. I pretty much go back and forth between my Signature BBNE-2 5 string and my TRB-6 string bass depending on the musical situation. FLACO: Are there any vintage Fender basses or ampeg heads in your collection? tour with Barry White & The Love Unlimited Orchestra is still in my possession. It’s amazing how heavy it is! FLACO: Favorite drummer to play with? FLACO: Are there still musicians that are on your bucket list of people you’d like to perform with? Also I like this blog's design. Nathan is one of the best, really love his playing style! I noticed one thing, saw the BASS PLAYER MAGAZINE at first time today. There are too many advertisment. Nathan plays Yamaha and this brand is good, in spite of fame. Thank you for good blog, dear, this is like elixir for my eyes & mind. So I understand, that so few people as Nathan, that could think of free-will, without stamps were taken from terrible magazines, as zombies.